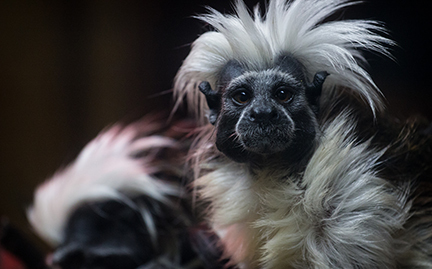 Tamarins live in groups of four to 15, and generally only one dominant female in the group breeds per season. The breeding female produces a pheromone to suppress breeding and delay puberty in other females. All the members of the familial group help care for the breeding pair’s offspring, usually twins.